Everyone is a star at Wonderland! Perfect for birthday party or special occasion treats. 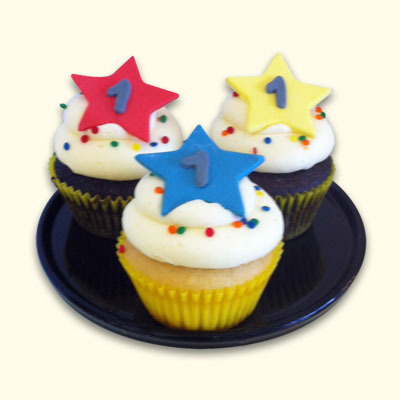 A fondant star accents this cupcake with any year of celebration or plain.